Bronson: The first time I heard your music Sam, I was up in Iowa and I was just a teenager, and it was 1971, and it was "Poor Richards Almanac", and you changed my life. Sam Bush: "Poor Richards Almanac", wow. Were we just traveling through or something? Bronson: No, I didn't hear the band, I heard the record. Sam Bush: Oh I see. Well I guess that record came out in 1970, so it would have been recorded somewhere around the Easter weekend of 1969, I think. Yeah, just some joyful noise. Alan Munde and I, (& Wayne Stuart) trying to play some fiddle tunes on bluegrass instruments. We were greatly influenced by Texas fiddle styles, but of course obviously as well you know, bluegrass. Bronson: Then you roll the clock up a little bit and I joined the Navy, and I was on an aircraft carrier, and I got a cassette tape sent to me of a band called New Grass Revival. Sam Bush: There you go. Well, New Grass, when you first heard "Poor Richards Almanac", later in that year, in 1971, New Grass Revival was formed out of the band called Bluegrass Alliance. So the 4 of us, Courtney Johnson on banjo, Curtis Burch on guitar and dobro, Ebo Walker was our bass player, and of course, I played the mandolin and the fiddle. Really, when we were starting New Grass Revival, we had discovered, of course we loved bluegrass, but we were always influenced by people like The Osborne Brothers, Jim and Jessie, and The Dillards, and the Country Gentleman. We had discovered through listening to various rock 'n roll and jazz, what have you, the fun of long extended jamming so we tried to start doing that when we were first going. So we recorded our first album in 1972, and I guess it came out in very early 1973 or late '72, on StarDay Records from here in Nashville. Bronson: So now we're sitting here in 2011, 42 years later Sam. Bronson: You've had such an incredible career. I've known of you, like I said, pretty much my whole musical life. I've actually played a lot of your songs with my band (The Ozone Ramblers) and it's an honor to talk to you. I've always wondered, you started playing music at such an early age. Your parents must have really been supportive? Sam Bush: They were. We grew up on basically a cattle and tobacco farm outside of Bowling Green, Kentucky, and yeah my dad was very much a music fan as was my mother, so my mom played the guitar and my dad played the fiddle some, so music was always encouraged around our house and played. If you see the old movie, Coal Miner's Daughter, the way they're sitting around listening to the radio to the Grand Ole Opry every Friday and Saturday night, that's what we did. My dad and mom were really instrumental in creating a love for music in my sisters and I, so I started playing the mandolin when I was about 11, and I started playing fiddle at about age 13. Before I started playing mandolin, my 2 sisters, Clara and Janet, had already started singing folk music. You know, learning Peter, Paul and Mary songs, stuff like that, New Christie Minstrel songs, so I started playing with my sisters when I first started going and then by age 13, I started playing fiddle in the first bluegrass band I was in, called The Grayson County Boys. Of course I was way younger than everyone else, everyone else was my dads age. (laughing) Then somewhere along the line I started playing electric guitar in high school and so I was always doing a variety of things. I would play electric guitar in the high school rock band, sometimes bass, but usually guitar, and then I would be playing mandolin and fiddle in bluegrass bands, so I would literally be the only guy old enough to drive in the rock band, but then in the bluegrass bands, I would be by far the youngest guy in the band all the time. That's all changed now (laughing). I'm never the youngest guy in the band anymore. Bronson: (laughing) You know I've always loved your songwriting. One of my favorite songs of all time is "Like A Child In The Rain". That song just rolls all over me. You're known as such a great instrumentalist and music guy but your songwriting. I just love your songwriting. How old were you when you first discovered songwriting? Sam Bush: I'm not really sure, lets see. I was co-writing with a guy named Steven Brines back then and Steven was from up in Lexington, and we would literally write by mail. In other words, he would send me the lyrics and then I would put music to his lyrics, and then I'd make a copy of a tape in my kitchen and send it back to him, and that's how we wrote songs together. Sometimes we sat down and collaborated, but I was collaborating with Steven Brines back then so probably at about age 19. I was making up instrumentals before songs, and still tend to do that maybe a little more, but with Steven I started to learning to love to try to fit lyrics in, and how do you do that. Steven was a big Kris Kristofferson fan so a lot of our songs kinda had that slant to them. Then over the years I've learned to really enjoy collaborating. John Pennell, I've collaborated with. The most I've collaborated with is Jeff Black, who I think is just one of the greatest songwriters I've ever met, and a guy from Louisville, Alan Rhody, I've collaborated with him. I've always been writing, but yes, I guess I tend to think of myself first as an instrumentalist and singer, but I've learned to enjoy the process, especially of collaboration. Bronson: You've played with so many huge stars and in lots of genres. You can play with anybody, anything they want to play, no doubt in my mind. So how did you come to hook up with Leon Russell? Sam Bush: Well that all occurred back in early 1973. New Grass Revival, we'd just completed our first road trip from a couple of weeks with John Hartford, and we were thrilled about that. I got home and my old friend Butch Robbins, Butch was living in Nashville, Butch is a great banjo player, and he had gotten the job of playing 5 string dobro on the first Hank Wilson's Back record with Leon, making his country records. So there was discussion about Leon was looking for a country band to back him, and he was like the worlds Billboard certified number one earner that year in rock n' roll. Twenty six thousand a night, it was insane. So Leon was discussing maybe getting a Nashville country band to back him, and to open for himself as Hank Wilson, and then of course to come out later with the great Leon Russell and the Shelter People rock 'n roll show. So Butch suggested us. Butch and I were pals and we'd played together on a Kenny Baker record a few years before that and become friends, and Butch suggested New Grass Revival. We literally got home at like 4:00am off the road, from being out in Nebraska and South Dakota and Iowa and Minneapolis and places like that, with John Hartford, and later that day we found ourselves in Tulsa, Oklahoma, at Leon Russell's house, and that was just really an amazing thing to go through (laughing). Sam Bush: Because he was such a musical hero of ours already, we did one of his songs on our first album, "Prince Of Peace", so at any rate, there weren't really good pick up systems on instruments back then so Leon decided he didn't want to go out and open for himself after all, standing there with just an acoustic guitar, but he asked us if we wanted to open the show, so we found ourselves opening for the world's biggest rock show in America for 2 and 1/2 months. 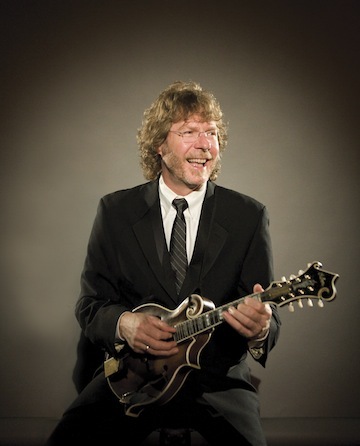 Sam Bush: It was just an amazing time, an amazing ride. So we did that, but of course as soon as the tour was over we went back to our normal lives, where we played 2 weeks at 6 nights a week at Arnie's Pizza King in Lafayette, IN. (laughing) So we were well aware of what was going on, but years later, somewhere around August of '79, we were playing in Tulsa, Oklahoma, with John Hartford as a matter of fact, opening for John Hartford, and Leon rode by and saw our name on the theatre. He stopped and came in the soundcheck and sat in with us that night, and then we immediately started doing some recording with him and we jammed all the time. It ended up with us, New Grass Revival, being his band for 2 years. It was a wonderful time. It was like being in the greatest 50's rock band with bluegrass instruments. It was just really fun and we learned an awful lot from Leon. Bronson: Emmylou Harris, you two have been friends a long time. Sam Bush: Well we would have met in Washington, DC, gosh, this was before Emmylou had her first record deal. She was playing around DC and everybody was aware of how wonderful this person sang, and then once again that led to years later, New Grass Revival would sometimes open shows for Emmylou and the Hot Band, and then when Emmylou heard that New Grass Revival was breaking up, at the suggestion of John Starling, she called me up and asked if I was interested in playing in an acoustic band with her. That led to 5 years in the Nash Ramblers, and those were 5 very joyful years and I learned an awful lot from Emmy. She's a great band leader and obviously a wonderful musician. People tend to overlook what a great rhythm guitar player she is and that's not always an easy thing to be. She's got great timing and I'm fortunate to know her and to have played with her. Bronson: So you're known as the King of Telluride. What was your first year going to Telluride? Sam Bush: Our first year, being New Grass Revival, we first went in 1975, which was the second festival. Some of the promoters, which was originally a band called the Fall Creek Band, they had seen us at the Winfield, Kansas festival the fall before that, then they wanted to hire us. They had their festival in '74, but we were the first band that they hired that wasn't from Colorado, that wasn't local, just around Telluride and the mountains community. Yeah, we went out there and we immediately made friends with the promoters and people in the town. Of course it was a very, very, small town back then. There wasn't a paved road then, but as soon as we started playing there we realized we had found an audience. We'd been looking for this kind of audience that was really open to any kind of music and maybe, I've always wondered, if it didn't have to do with the wide open spaces, just the open attitude that people had. Now of course that festival has grown so much over the years. This year it's the 38th festival and it will be my 37th consecutive. Bronson: Is that where Strength In Numbers came together was around Telluride? Sam Bush: Well, in a way. Telluride is definitely a part of Strength In Numbers history, but we really got started here in Nashville because Edgar Meyer had hired the other 4 guys in Strength In Numbers, to play on, well I guess his first record, and back then there was the festival that went on here in Nashville. It was a wonderful festival called the Summer Lights Festival with different stages and what have you, and so Edgar put us together to play a set with him, so we were originally called Edgar Meyer and Friends. We did it more than once on Legislative Plaza Stage and then we started doing it. We told the promoter at Telluride about it, so we started doing it out there and for a while they called us The Telluride Allstars, and then we realized the 5 of us wanted to make a record together for MCA Masters Series. We actually had planned on calling ourselves Telluride, but we found out another group already had that name so we thought Strength In Numbers was appropriate for us. Bronson: So you've been on Sugar Hill Records now quite a while. You've done 8 solo albums if I'm not mistaken, and 6 of them on Sugar Hill Records? Sam Bush: (laughing) Bronson, you got me. I haven't counted them. Yeah, they're all on Sugar Hill except for the very first one that was called, Late As Usual, and that one was on Rounder Records, but that was done way back when I was still in New Grass Revival. Yeah, I've been very happy with Sugar Hill, they've treated me very well. Bronson: Circles Around Me was your last album, right? Bronson: You know the fact that you did that track where you were able to reunite with Courtney Johnson, that must have been quite a thrill? Sam Bush: Well it really was and that's thanks to Garth Fundis, who was one of the producers of New Grass Revival and we're very good pals. Garth owns the Sound Emporium, and yeah I knew I wanted a fiddle and banjo duet, but then Garth and I were talking and he said, "You know what? I found some old tapes downstairs of a couple of fiddle and banjo duets with you and Courtney." Man I got so excited, and then of course we had to go through, for lack of a better term, what I call the "tape baking" process, to make sure the tape could be played without disintegrating, 'cause you know, it hadn't been played since 1976 which is when we cut that duet, so we went through the tape restoration process and transferred it to digital. Much to my delight, well there were two tunes, one that I thought I played pretty poorly on, and then the other one sounded good, brought a smile to my face. It was really nice, hearing the nice little hop Courtney had to his playing, getting to hear that again. It was like playing a tune that you'd never heard before, only that many years later, since 1976, so yeah, I was thrilled about that. Bronson: In 2009, you were awarded the Lifetime Achievement for Instrumentalist Award from the Americana Music Association. What an honor. Sam Bush: Well it really is 'cause I feel like I'm still learning (laughing). Hopefully that doesn't mean I'm over. Always thanks to Jed Hilly and for all the work he does for americana music. Americana gives us all a market to be in and americana encompasses so my different styles, thats what I love about it. It's not limited to one style of music or songs. It can include instrumentalists, it can include bluegrass or folk music, rock n' roll. Certain people have called Bruce Springsteen americana, I just think it's great for the music world to have americana music. Bronson: You've recorded so many records and played on so many sessions with other artists, and then you've played so much live. Do you have a preference for playing live or playing in the studio? 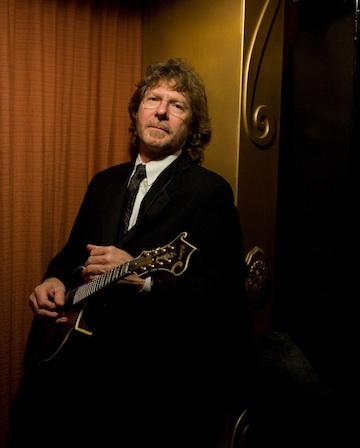 Sam Bush: I guess the most fun is to play live and to get the immediate, to hear the audience reaction 'cause that sort of feeds us on, but we're entertainers through music. In other words, it isn't a dance show or a large production, and that's the story really, of americana style music. We entertain through our music, but really, I kinda like playing live more just 'cause it's spontaneous and if you make a mistake it's already gone by (laughing). You don't have to go in the control room and edit out mistakes, but basically I love getting to play. I love making music more than not making music, so they're both fun for me because the studio is it's own reward too. All in all, live music, and it excites me of course to be at a show, to be sitting in the audience as well, more then anything. Bronson: I had a friend that told me one time Sam, "If you make a mistake Bronson, just play the same thing exactly like that again and they'll think it's part of the song." Sam Bush: Yeah (laughing). I might of done it on purpose. Some of my most exciting moments as a listener of music perhaps, when I'm listening for instance, to old Allman Brothers jams, and Duane is exploring. Sometimes you wonder if he aimed to hit that note but then he makes more out of it and makes it a whole new phrase of something he might not have ever played before. Bronson: With all these great musicians you've been blessed to play with, is there anybody you always wanted to play with that you haven't yet? Sam Bush: Oh there's lots of people. Yeah, I have been fortunate to play with a lot of my heros. Sure, I'd love to play with Eric Clapton sometime. I was sitting in the audience watching Jeff Beck recently at the Ryman. One of the greatest shows I've ever seen, ever, and I'd love to play with Jeff Beck. You know we play electric in our band also, so I play the Fender electric mandolin sometimes and I would give anything to stand there and hear it come right off his amp. Just recently, Sonny Lambreth sat in with our band and he's a real guitar hero to me. As you can tell I'm a fan of guitar players as well. Bronson: Do you have any advice for any musicians out there? You know, you've done it, you came to Nashville. 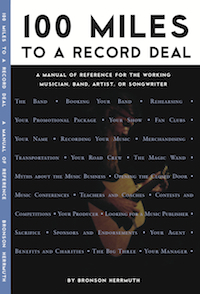 Do you have an advise for somebody that's trying to do something with their career as a musician? Sam Bush: Well you just have to be consistent and remember why you started playing music, and hopefully you started playing music for the simple reason that you love the sound of music. I think it's realistic, as you progress as a musician, to just remember that you're trying to improve as a player and singer, and if notoriety comes from that fine, but keep your eye on your goal which is to improve as a player and singer. Bronson: March of 2010, legislation was passed in the state of Kentucky, naming your home town, Bowling Green, Kentucky, as the "Birthplace of Newgrass" and you, Sam Bush, as the "Father of Newgrass". Sam Bush: Well that's a nice honor from the state of Kentucky. You know it's interesting, I can't think of myself that way because I have heros that I believe were already playing progressive style bluegrass, that had already deviated from the style of Bill Monroe, and Flatt and Scruggs, The Stanley Brothers. Such as, that I may have mentioned earlier, The Country Gentleman and especially The Ozborne Brothers, and the Dillards. But John Duffey, with The Country Gentleman, I always thought he was the father of new bluegrass (laughing), so it's a nice honor and one that I really appreciate the Kentucky legislature doing. Bronson: Do you have anything coming up? Any events, any recordings, anything you want to talk about and get out there to the folks? Sam Bush: Actually I'm in the process of looking through some past musical performances, because we've recorded a lot of them. That's one thing I'm doing, I just want to look at sort of a catalog of things to see what could also be released. In the meantime I'm still writing along, hoping to get some writing done this week with some friends and really, once I get more tunes assembled, then I'll know which direction we're going to record in next time. Bronson: Sam, I really appreciate it. I know you are busy and it's an honor to talk to you. Like I said man, for over 40 years I've been one of your biggest fans, flying your flag. It's funny 'cause I know you've played all over the world and I have too, and everywhere I go they know Sam Bush. Sam Bush: Well I'm fortunate in that way. Maybe it's the kind of thing where if you just keep at it, (laughing) keep doing it long enough, everybody knows you're serious and you're gonna hang around. Bronson: Well I think you're secure, I believe that. Sam, I appreciate it so much. Sam Bush: Hey, thank you.